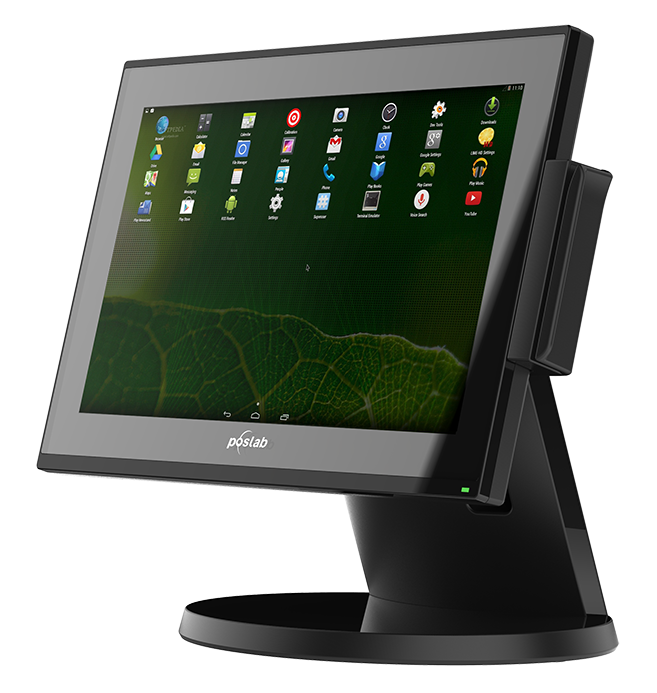 The EcoPlus 66 from Poslab is an elegant touch screen POS system designed as a fully-fledged, all-in-one device for small budgets. In addition to the excellent price/performance ratio, the EcoPlus 66 is distinguished by its elegant design, which is integrated into virtually every application - from the regular retail sales space to hospitality and the fashion salon. The cleverly designed stand gives the device stability and also effectively saves space. The dimensions of 360 x 194 x 296.5 mm (W x D x H) allow for space-saving installation; the all-in-one system ensures for a tidy impression in the sales area. All applications of the all-in-one POS are carried out by the user with a few finger movements. The capacitive 14 '' touch screen with a resolution of 1,366 x 768 allows precise and intuitive operation of all features. The monitor is bright enough to ensure safe and fast operation, even in environments with backlighting - near the display window or under electric lighting. All necessary connections are available for connection to the POS system: USB and COM, as well as an Ethernet and RJ11 port for cash drawers. The POS system is also suitable for environments where a reduced noise level or a quiet atmosphere is necessary, for example in jewelry shops or elegant boutiques. Again, the EcoPlus 66 is a good choice: the device comes without a fan and stands out through its virtually silent operation. At the same time, doing without the moving parts of a ventilation system increases the reliability and service life of the POS. Also, the rest of the hardware of the EcoPlus 66 is well calculated for your budget: an Octa Core processor with 2 GHz provides sufficient power, the eMMC memory scores with 8 GB of storage space, and since the POS system runs with an Android operating system, the license costs are manageable. Add to this a manufacturer’s warranty of 2 years (12 months on the panel) for sustainable security on the investment.